What do you wear to the beach? 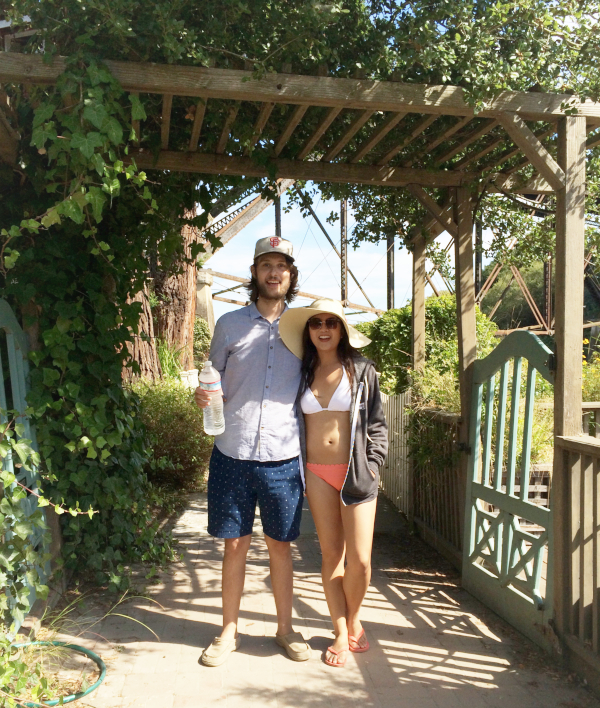 We’ve been hanging out at our friend’s beach house in Capitola, and I realized I’ve been wearing the same thing. My beach uniform is a big floppy hat and a simple white top with a mix of bright bikini bottoms. White just looks fresh and unfussy – and goes with everything! Here’s the triangle bikini top I like to pair with these scalloped bikini bottoms and these asymmetrical ruffle bottoms.